Want to contact a mod? Do so at this post. Here are my 20 Gwen icons for Round 38 at merlin20in20. The rest HERE @ m_in_wonderland! ag-fics promo: Short Challenge 7 Voting/Poll OPEN! 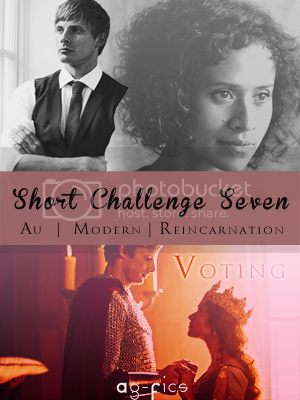 Over at ag_fics, we have finally opened up voting for Short Challenge 7! After 21 days of waiting, 6 entries were submitted and now it is time for you to vote! You have over one day to read every entry and pick your favorite! So CLICK on the banner to find out more! Disclaimer: I do not own Merlin, it belongs to BBC and Shine . If I did it, Merlin would have ended very differently and A/G would have had 3 children! A/N: This was written as part of the Fic Battle 2.0 over at ag_fics. The prompt was: Chocolate from 2sam11. Characters/Pairings: Arthur, Gwen, Merlin, Arthur & Gwen. Spoilers/Warnings: None, really. A part from referring to the series ending. A/N: This was written as part of the Fic Battle 2.0 over at ag_fics. The prompt was: Youthful from 2sam11. Characters/Pairings: Arthur, Gwen, Arthur & Gwen (mentions of Gaius, Merlin & the knights. Spoilers/Warnings: Canon AU set during series 4 and 5. A/N: This was written as part of the Fic Battle 2.0 over at ag_fics. The prompt was: Arthur has a surprise for Guinevere from a_g_doren. Characters/Pairings: Elyan, OCs, Arthur & Gwen. Spoilers/Warnings: Modern AU - contains some swearing. A/N: This was written as part of the Fic Battle 2.0 over at ag_fics. The prompt was: Uncle Elyan babysits from a_g_doren. Characters/Pairings: Arthur, Gwen, mentions of Morgana, Merlin and Cenred, Arthur & Gwen. A/N: This was written as part of the Fic Battle 2.0 over at ag_fics. The prompt was: ace of spades from railise. Summary: Guinevere's friendship with Ylsa is put to the test as Ylsa tries to solve the riddle of Matilde's fortune. Meanwhile Guinevere begins to sense something amiss in Camelot and finally writes home. Author notes: no pre-chapter notes this update. I hope enjoy and take a moment to comment good or bad. Betaed: Shanel a very dear friend of mine and Bluemagicrose thank you both for all of your help, The Exile would be so much less without you. I'm happy to announce that for the first time ag_fics will be hosting a special event for Christmas, called the Christmas 2012 Fic Exchange. People will be given the opportunity to leave prompts and then writers can post fics in response to prompts given. There is also a challenge element to this event (seeing as we are a challenge community), but to find out more about the rules for the exchange, please click HERE. Voting for Short Challenge 6 over at ag_fics is now OPEN! We managed to get 10 wonderful entries for this challenge which is amazing. To read all the entries and vote, click HERE! Disclaimer: Not mine. BBC and Shine own them. 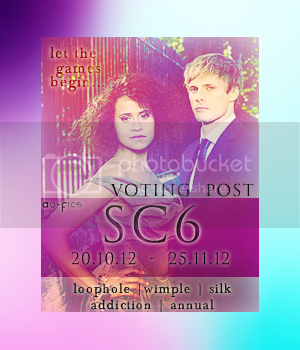 Summary: Gwen notices something developing between Merlin and Mithian in the aftermath of 5.04 and tries to help. Disclaimer: If I owned Merlin instead of Shine or the BBC Merwen would be canon not fanon. Summary: After waking up hundreds of years in the past, Gwen discovers she is actually the reincarnation of Queen Guinevere and has somehow swapped places with her past self. 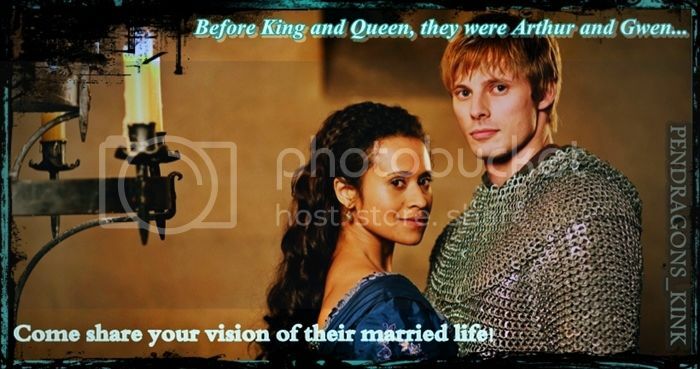 Believing this means she must be fated to marry the Arthur of her own time, Gwen attempts to get to know him whilst working with Merlin to find a way back. But in the face of her growing feelings for Merlin, Gwen must soon decide if fate and destiny may be two different things.